As I concluded in my race analysis yesterday evening – the 2018 Ironman World Championship was a fast year for the Kona course. As well as producing new records in the professional ranks, 14 new age group records were set. While one or two new age group records have been set in the last couple of years, I haven’t seen such a big shift in these times since 2013. So here is the latest list of the fastest times by age group at the Ironman World Championships. This year’s race means the longest standing age group record is held by Sister Madonna Buder in the F75-79 age group. Every other record has now been set in the last 8 years of racing in Hawaii. There’s been some restructuring of the oldest male age groups (the 80+ grouping is now split into 80-84 and 85-89) which means Hiromu Inada holds all 3 age records over 80. 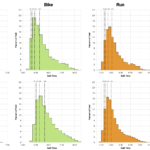 As I commented back in 2013, when I last produced a list of age group record times, there’s been remarkably little published or recorded on the fastest age group times. 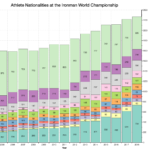 I’ve put together this data from my own collection of 15 years of World Championship results, alongside the article I used back in 2013 to establish older age group records. The change in record times varies from a matter of seconds up to 38 minutes in the F45-49 age division. Back in 2013 I thought the new records, set on a favourable racing day, had the potential to last. Five years on and nine of them have fallen. 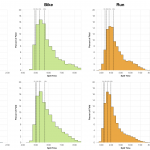 How Much Slower was Kona 2016?